Wedding chairs are absolute essentials for your big day. 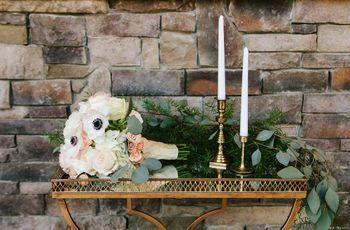 Your guests will need a place to sit during the ceremony and throughout the reception, but the types of chairs you choose can also affect your wedding decor and overall aesthetic. 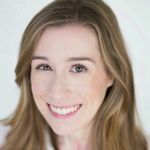 With so many other details (guest list, flowers, food, attire...to name a few) to worry about as you're planning your wedding, it's easy to leave the chairs on the back burner, especially if your venue provides them or you don't have wiggle room in your budget to splurge on fancy rentals. 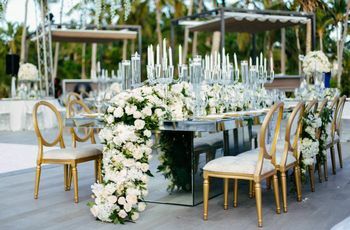 But keep in mind that the chairs will be in a lot of your wedding photos — and depending on the size of your guest list, you could have hundreds of them throughout your venue. 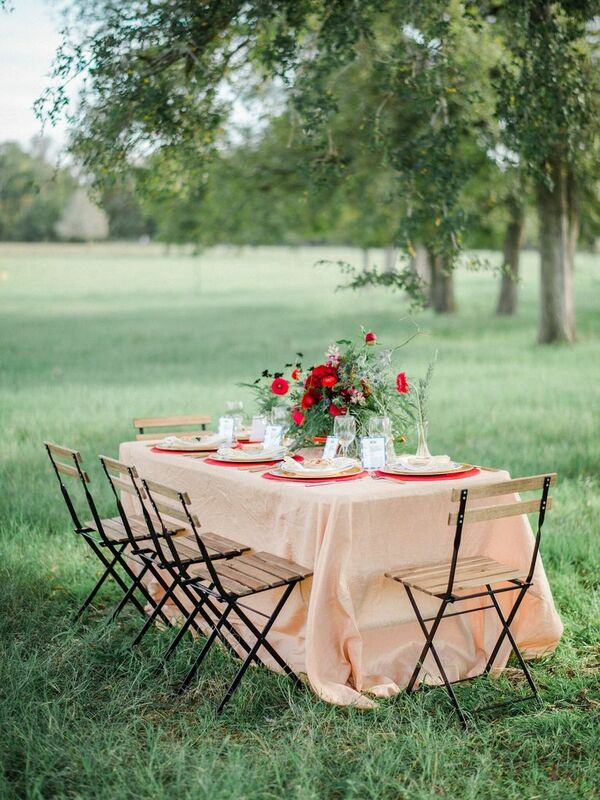 Even if you only invest in a few special chairs for your sweetheart table and keep the rest simple, we think it's worth it! Take a look at these popular types of wedding chairs to decide which option fits your style. The trademark of this antique-inspired chair style is the caned back, which is typically woven from strands of dried grasses, palms, or bamboo. Cane back chairs were popular during the height of the French colonial period. 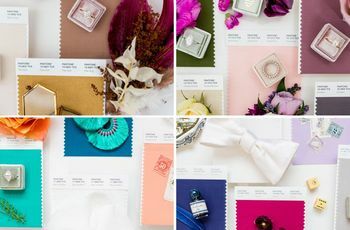 Today, they're a top choice for couples looking to evoke an Old World wedding aesthetic and often feature a neutral color palette with linen, velvet or satin cushions. Also called the phoenix chair, the infinity chair features an oval back with two overlapping circles that create a loop-inspired pattern. The end result is an "infinity" effect by being unable to tell where each circle begins or ends. 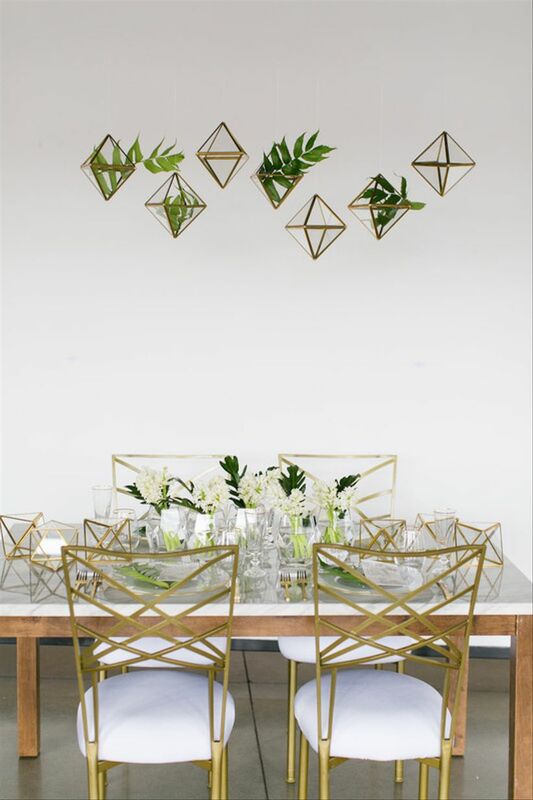 We love these wedding chairs for an ultra-chic celebration. You can find infinity chairs in several colors, including white, gold, black, and even clear acrylic. 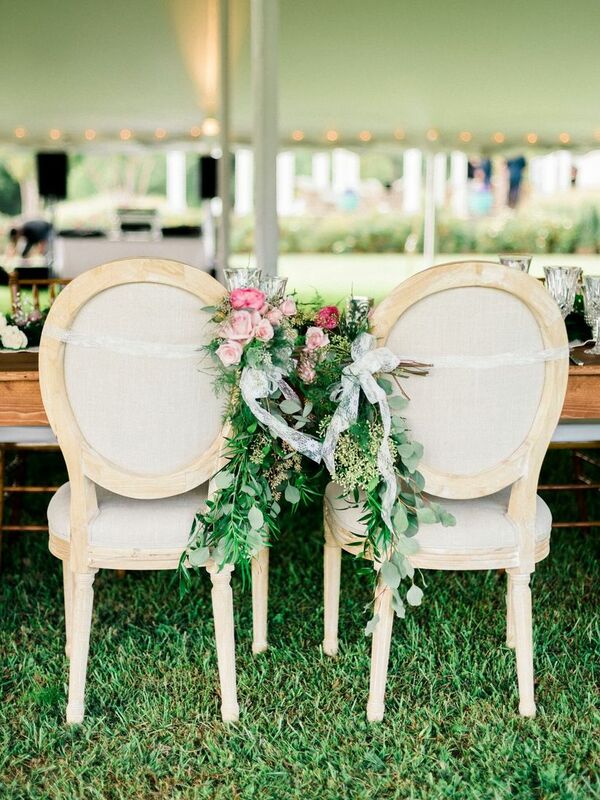 This faux bamboo option is one of the most popular wedding chair styles. 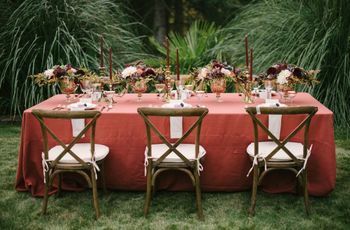 Chiavari chairs are often seen in natural wood, neutral tones, or metallics, but some rental companies offer bright colors, pastels, or even transparent varieties. They're most often used at traditional weddings and very formal events, and can be left bare or dressed up with fabric covers. If you don’t recognize these chairs, that’s because they’re usually draped in fabric or otherwise disguised (hence the name). The metal frames can be customized with colorful cushions, stylish sashes, or decorative slipcovers. They can also be kept bare like this for a more contemporary look. 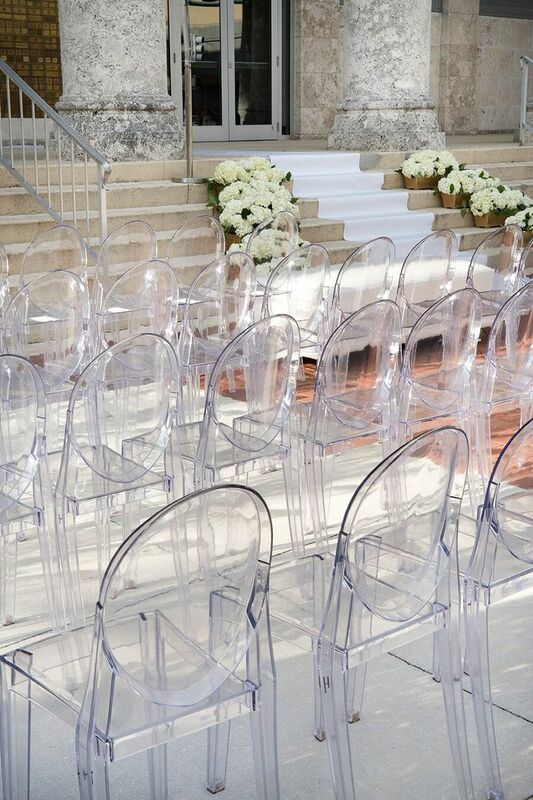 These wedding chairs are made entirely of acrylic or lucite. Ghost chairs provide the most modern look for your big day and are typically used in a clear finish for a sleek, minimalist effect. If you want to go bold, they're also available in opaque black, translucent gray, pink, blue, green, and orange. 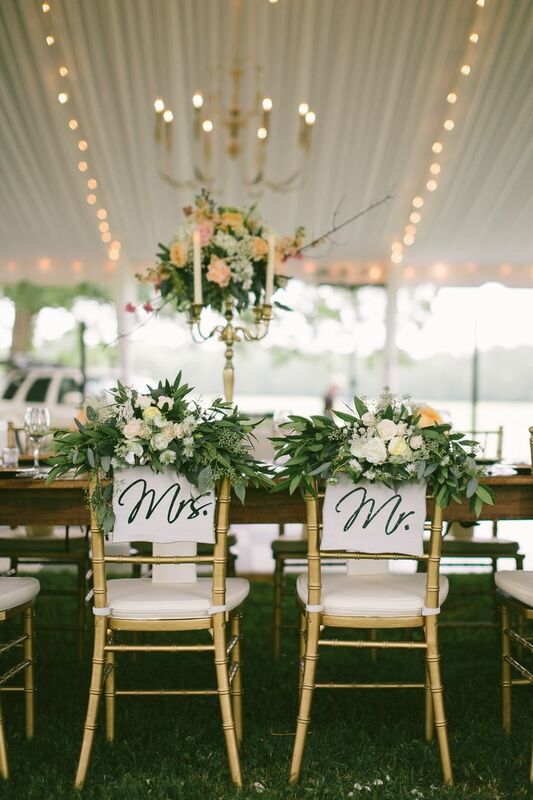 A popular option for any wedding style, these folding chairs can be left alone or easily dressed up using aisle markers and other adornments. 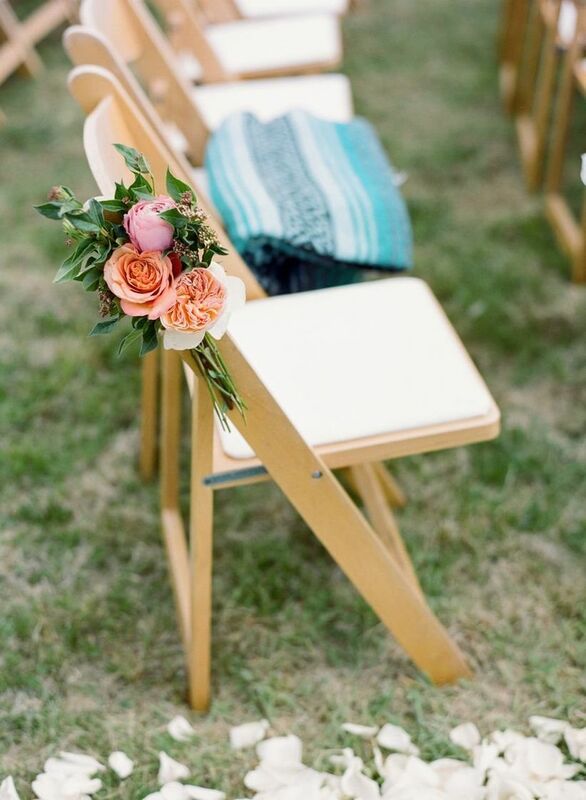 Wooden folding chairs are especially great for an informal wedding, and they make an ideal choice for couples who want a hint of sophistication without too much fuss. These wedding chairs feature a Tuscan-inspired design with a natural wood finish and the signature "X" on the back. 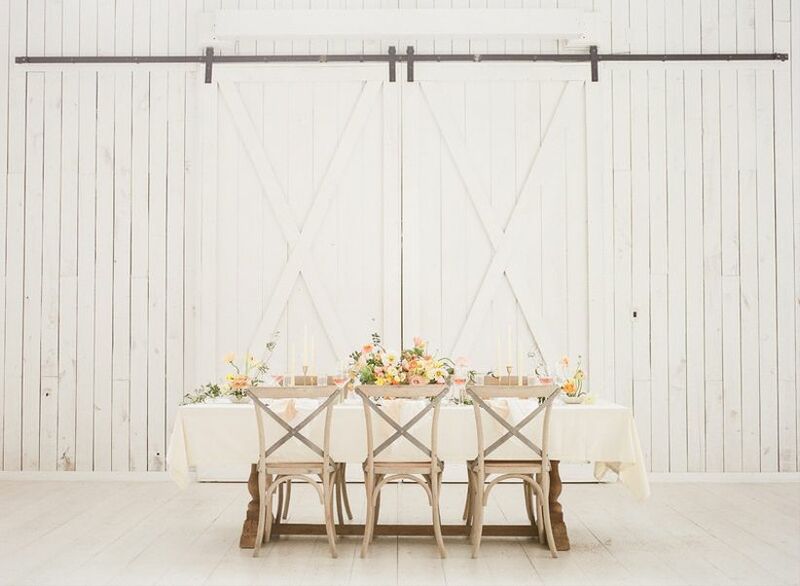 Cross-back chairs embody rustic elegance and are one of the most popular wedding chair styles for farms, gardens, vineyards, and barn venues. 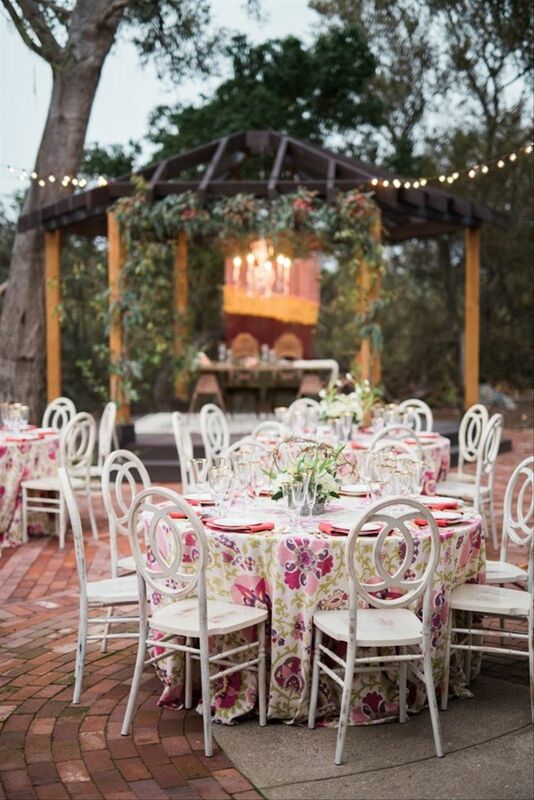 Bring a bit of Parisian flair to your wedding with bentwood cafe chairs. This fashionable style was made popular in the 1800s by prominent chair maker Michael Thonet. 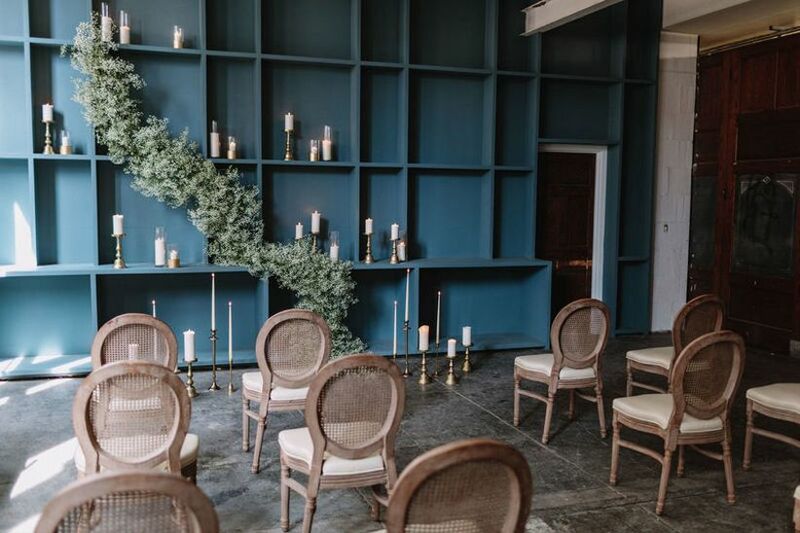 These chairs are the epitome of laid-back, effortless elegance and are a great choice for weddings set in a historic museum, restaurant, or swanky loft. Hello, opulence! King Louis XVI chairs are named for the French monarch who, like his wife, Marie Antoinette, was known for his indulgent taste. This French neoclassical design is recognized by its oval back and typically features upholstery in a natural linen or soft velvet. King Louis chairs are must-haves for weddings taking place at elegant estates, gardens, and historic mansions. 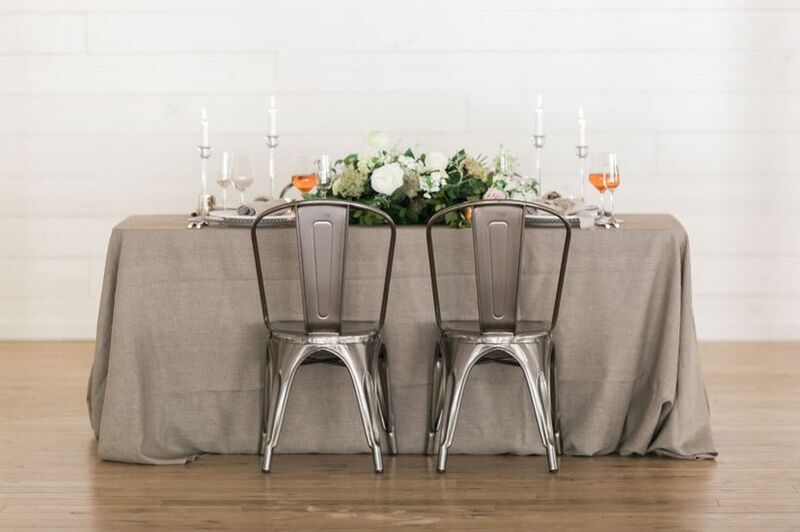 These stylish steel chairs will give your wedding an industrial edge. We love them paired with rustic tables for a farmhouse-meets-modern look, but they're just as cool with streamlined furniture to create a contemporary feel. Marais chairs are most often seen in metallic finishes such as silver, rose gold, and bronze and are available in a variety of heights. 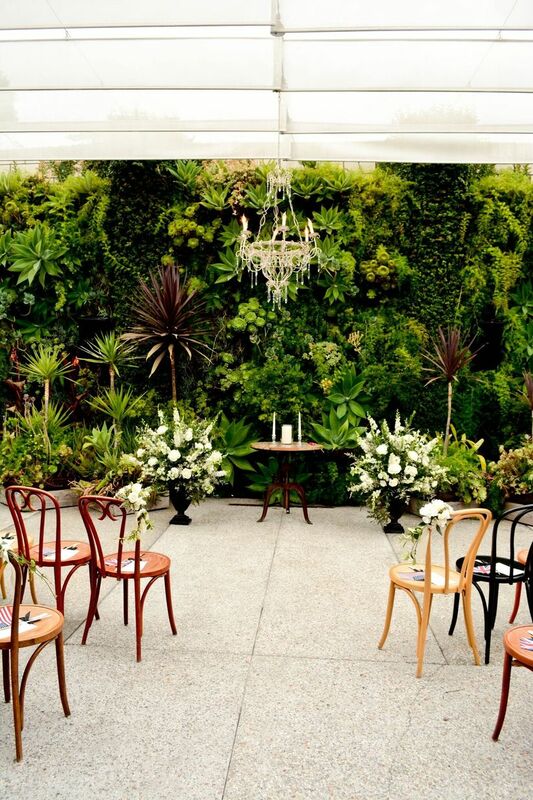 Even if you're not getting married on a tropical island, rattan chairs will make it feel like you are! These wooden folding chairs are a festive choice for a trendy waterfront event and go perfectly with a tropical wedding theme. These sweet wrought-iron beauties can be rented from a variety of vintage furniture companies. They come in a range of designs, from classic scrolls to preppy lattice or romantic hearts. 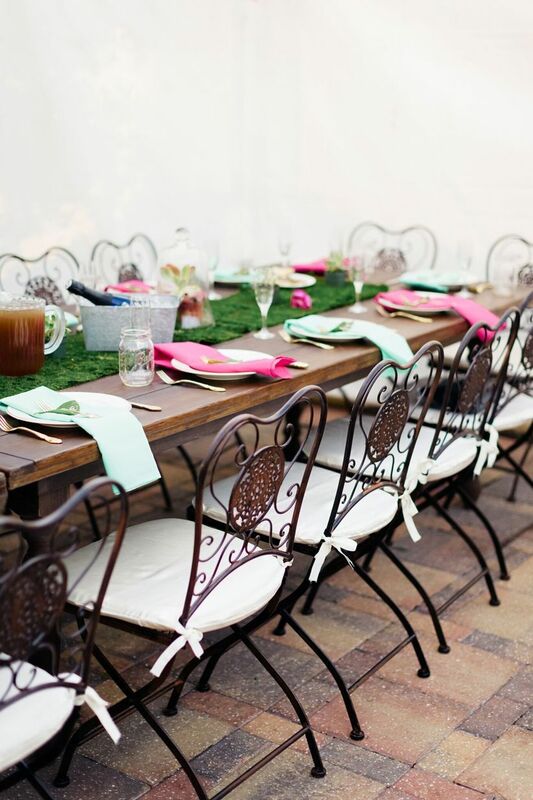 Metal chairs are a lovely choice for a garden wedding — just make sure you provide cushions! 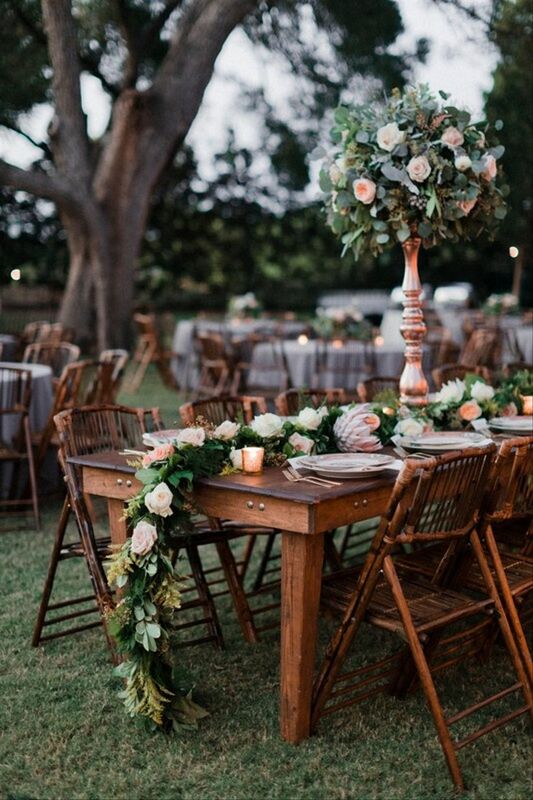 Reminiscent of trendy European bistros and outdoor cafés, wooden slotted chairs are a perfect option for a relaxed wedding with style. Add extra personalization (and comfort for your guests) with colorful seat cushions.